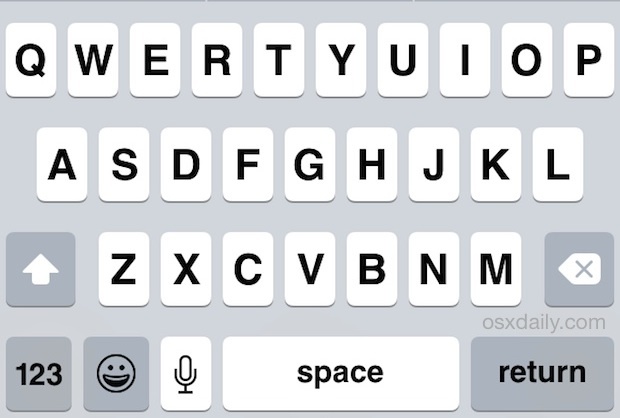 One of the most frustrating things to type on the iPhone, iPad, and iPod touch keyboards is an email address. Typing out a name, then tapping the “. ?123” button to access special characters for the @ sign and numbers, then tapping it again to type more letters, than tapping it yet again to type a period, and again to finish off an email address, by the time you’re done you’ve shifted between the touch keyboards half a billion times. Instead of repeating that process over and over again, do yourself a favor and create a keyboard shortcut for your email address in iOS. 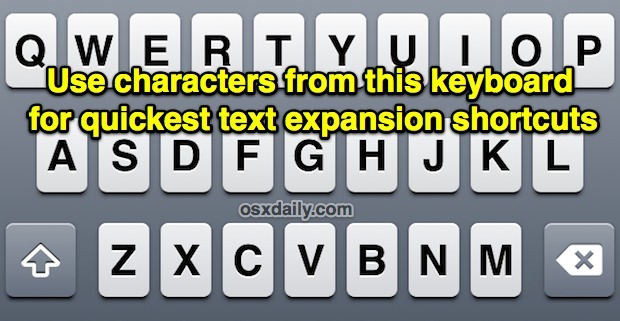 Keyboard shortcuts simplify typing anything in iOS by letting you type an abbreviation that you define which will then expand out to the full character sequence. For this trick, and example would be typing something like ‘myeml’ could be replaced by “myemail@emailaddress.com” automatically. It works wonderfully well on the iPhone and iPad and is highly recommended. Some general advice for setting these email expansions to be the most effective: use a shortcut that doesn’t match any other word, and keep them short and containing only characters that are accessible on the primary iOS keyboard. Once configured you can try it out. Open any place you’d enter text, like Notes or Messages, and type the shortcut you set, it will automatically expand to the email address. No more tapping and switching keyboards between numbers, letters, periods, @ signs, your life is now easier and you’ll be touch typing even faster. This works in all versions of iOS that are even somewhat modern, so you can set this up on just about any iPhone, iPad, or iPod you have laying around. The appearance of the settings may look slightly different, but the feature and its function remains the same. If you appreciate this trick, don’t miss our list of general typing tips for the iPad and iPhone. 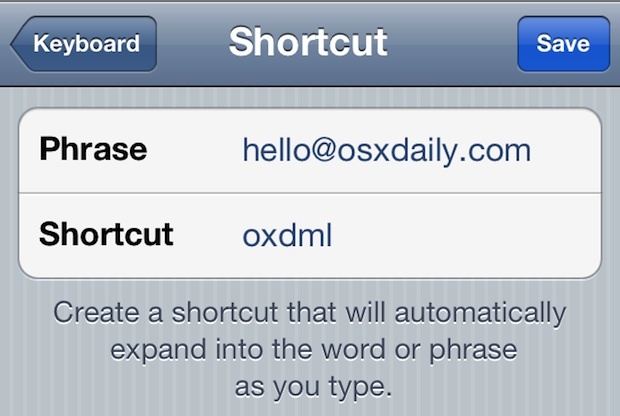 Strange, Bento doesn’t seem to recognize these shortcuts. Is there a similar solution in mountain lion? Yes in OS X it is under the Language & Text pref settings, go to Text and add entries. Why should make shortcut while you can save in address book? Why should make a shortcut when mail app provide last used address list? It is enought to write one e-mail a that’s it. Great tip! I get tired of typing my email address in forms etc. thank you! Yeah you don’t only use emails in the mail app. You have to type out emails while registering/signing in for apps or on websites in browsers. I’d have to type out my address to leave this dang comment as I’m on my phone! Anyways thanks for the tips! This is something that has annoyed me for awhile but I just searched for a solution and voila!! This works only sometimes, like with mail, but filling out forms it often doesn’t recognize my correctly written email from the shortcut. Anyone having same experience ?? Not sure what causes this problem…. Leave off the “m” and then type it in manually and it’ll accept it!